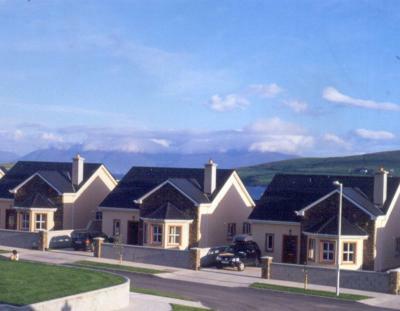 The Ard na Mara holiday homes in Dingle offer accommodation for up to 6 guests, with free on-site parking. 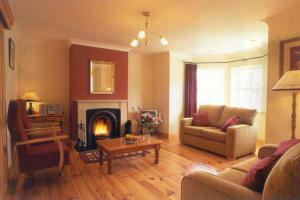 Ard na Mara overlooks Dingle Bay and is around 15 minutes' walk from the town centre. Each house has an en suite double bedroom, 2 twin bedrooms, and a bathroom with bath and shower. There is an attractive lounge with TV and fireplace, and a modern kitchen with an oven, microwave, fridge and dishwasher, as well as a dining area. Dingle is home to Fungie the Dolphin, and regular boat trips depart from the harbour to see him. The Phoenix Cinema and Oceanworld Aquarium are within 15-20 minutes' walk. Overlooking Dingle Bay, the Dingle Esk View offers free private parking, a self-catering kitchen and free Wi-Fi in public areas. Despite the rural setting, the hostel is just 5 minutes? walk from Dingle's town centre and only a 10-minute stroll from beaches. The Dingle Esk View offers a variety of accommodation, from private rooms to beds in dormitories. 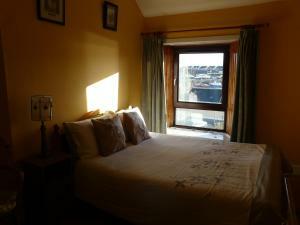 Each room has either a views towards Conor Pass, over the town of Dingle, or of the sea. The rooms have access to shared bathroom facilities. Guests can make use of a self-catering kitchen, a communal lounge area, and a garden. 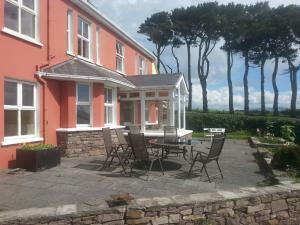 With views over Dingle Bay and the Kerry countryside, the front porch is a popular place to relax. The scenic Ring of Dingle begins in the town of Dingle. Kerry Airport is just under an hour's drive from the Dingle Esk View and Cork is 2 hours away. The surrounding area offers charming villages and small towns. 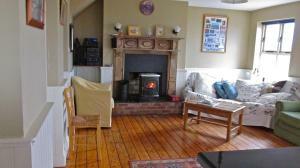 Coastline House has a fantastic location on Dingle Bay with views of its harbour. This charming property offers pleasant rooms and serves a varied breakfast with views onto the water. The spacious rooms at Coastline House have décor finished in warm tones. There is free Wi-Fi, a TV, tea and coffee-making facilities and an en suite bathroom with free toiletries. A range of breakfast dishes are served in the bright dining room, or outside in the summer. 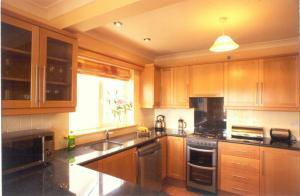 Dishes include porridge with Baileys, a full Irish breakfast and scrambled eggs with smoked salmon. The Coastline uses local produce from the Dingle Peninsula, as well as homegrown, garden herbs and home-baked breads and cakes. The Atlantic coastline is ideal for windsurfing, and you can go cycling and hiking around scenic Dingle. The town's tourist office and aquarium are just 500 metres away. 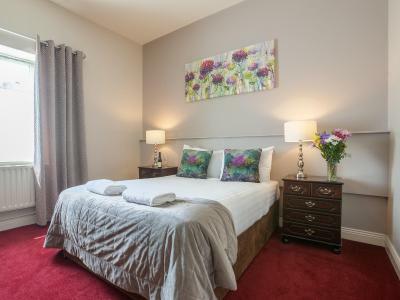 Located in the heart of Dingle, Barr na Sráide offers 3-star accommodation with free parking and with free Wi-Fi. Kerry Airport is only a 45-minute drive. The picturesque Dingle Peninsula boasts stunning landscape and access to horse riding, sailing, golf and diving. 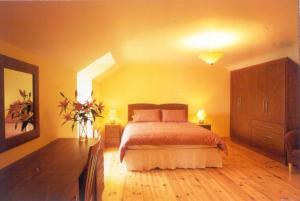 Each of the 26 rooms at Barr na Sráide features an en suite shower room and a TV with satellite channels. A hearty breakfast is served daily and guests can also enjoy a drink at the on-site pub. Craft and gift shops, restaurants, and traditional music venues are within 5 minutes’ walk from the property. 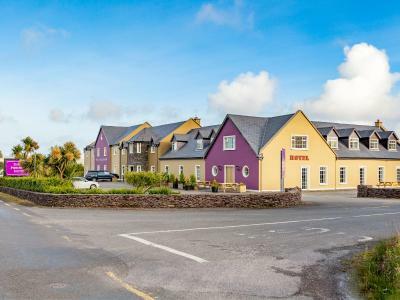 Located in Dingle, in County Kerry, Milltown House Dingle offers en suite accommodation, free Wi-Fi and free private parking. 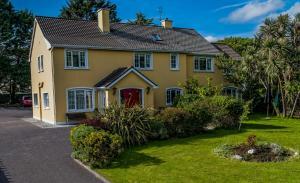 This property benefits from a stunning location overlooking Dingle Bay. 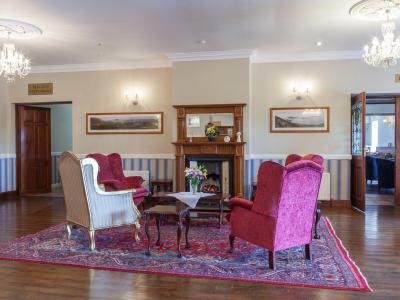 All the rooms at Milltown House Dingle feature a seating area and tea/coffee making facilities. The en suites bathrooms include complimentary toiletries. Room service is available to guests, as well as a garden. Laundry facilities are also available at a surcharge. The town centre is just over 0.6 miles away, and offers a variety of shops, pubs and restaurants. Oceanworld Aquarium is just a mere 10 minutes’ stroll away. The picturesque town of Killarney is 1 hour drive away. The Dingle Peninsula is well known for its rugged beauty and cultural heritage. Set in Dingle within 200 yards of Dingle Oceanworld Aquarium and 650 yards of St. John's Well, The Waterfront provides rooms with free WiFi. Among the various facilities of this property are a garden and a shared lounge. Each room has a flat-screen TV with satellite channels. At the guest house, each room is fitted with a wardrobe. The rooms include a private bathroom with a shower and free toiletries. A continental breakfast is served every morning at the property. Languages spoken at the reception include English and Irish. 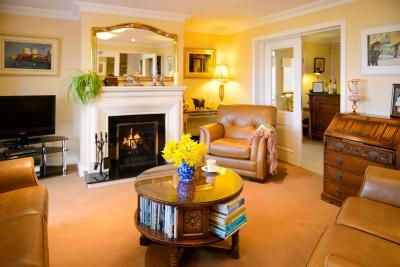 The nearest airport is Kerry Airport, 36 miles from The Waterfront. Greenmount House in Dingle has been owned and run by the Curran family since 1977. 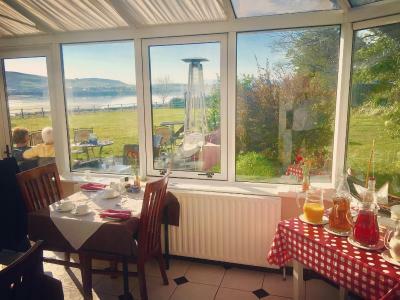 With an elevated position offering views of Dingle Bay, this elegant County Kerry guest house provides free parking and Wi-Fi and an extensive breakfast menu. 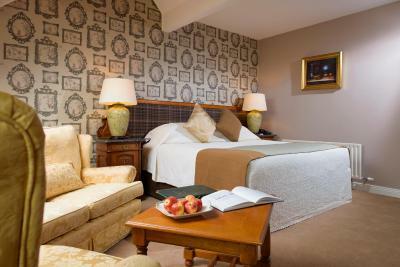 Each room has a TV, telephone and tea and coffee facilities. 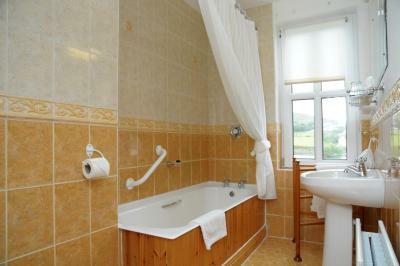 All have an en suite bathroom with a hairdryer and complimentary toiletries, and some have sea or garden views. 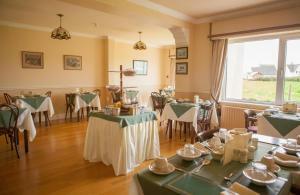 A full Irish breakfast room is served in the dining room looking out to Dingle Bay and the surrounding hills. Other options include smoked salmon with poached eggs, and pancakes with maple syrup, as well as fruit, yoghurt, cheese, freshly baked bread, scones and homemade preserves. Packed lunches are also available. Greenmount House is a 5-minute walk from Dingle’s brightly coloured town centre, with independent shops, cafés and traditional Irish pubs. The Oceanworld Aquarium lies near the harbour around 15 minutes’ walk away. 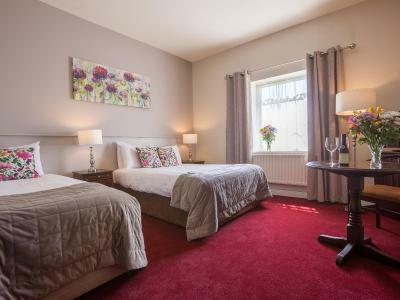 A 2-minute walk from the centre of Dingle, Bambury's Guesthouse provides well-appointed rooms with free parking and Wi-Fi. 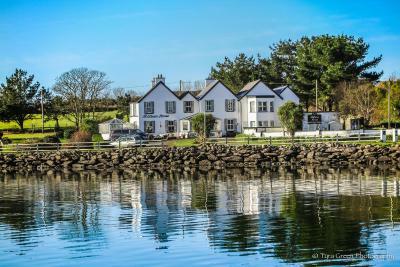 Dingle Marina is a little over 5 minutes' walk from this County Kerry guest house, which offers an extensive breakfast menu. 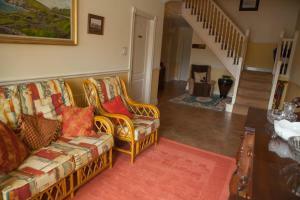 Each room has a TV, telephone, wardrobe, seating area and tea and coffee facilities. 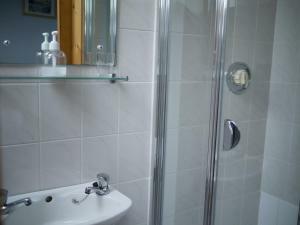 All have an en suite shower with hairdryer and toiletries provided. 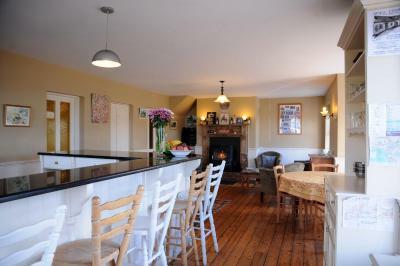 Full Irish breakfast is served at Bambury's Guesthouse, along with fruit-filled pancakes and freshly baked scones. As well as cereals, fruit and muesli, there is smoked salmon with scrambled eggs and juice, tea and coffee. Dingle town has a range of shops, pubs and restaurants nearby, and the Oceanworld Aquarium is around 10 minutes' walk away. On Ireland's westernmost peninsula, it is around 45 minutes' drive from the county town of Tralee and offers activities including sailing, fishing, golf and horse riding. 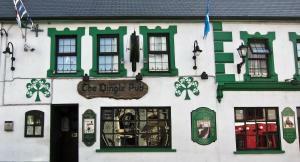 With a bar and restaurant, The Dingle Pub BnB is in the heart of Dingle. 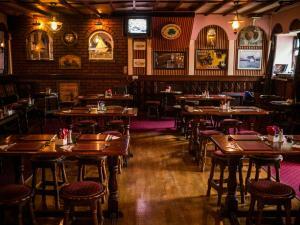 Host to live Irish music, it offers free Wi-Fi and free private parking. It is just 700 metres from Dingle Harbour. The rooms include a TV with cable channels and tea and coffee making facilities. 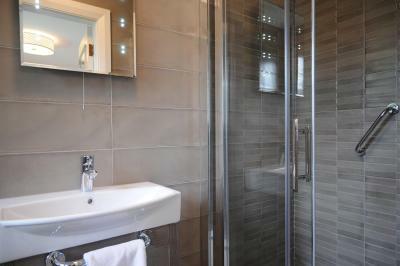 Each room also benefits from an en suite shower room. In the mornings, guests can enjoy full Irish breakfast. 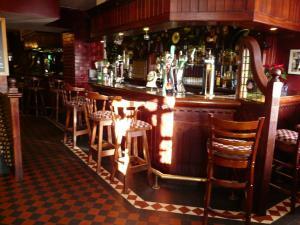 With live musical entertainment each night, The Dingle Pub serves bar snacks and wholesome bar meals. The menu includes stone-baked pizza and daily specials such as fresh wild salmon. Renowned for its traditional Irish music, Dingle is ideal for exploring the scenic Dingle Peninsula. Guests can enjoy walking, cycling, and hiking in the area. 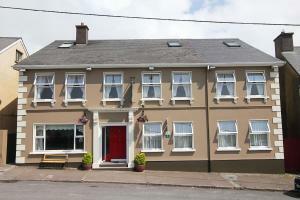 The Dingle Pub B&B is just 1 km from the Oceanworld Aquarium. Offering views over the bay, Dingle Peninsula Hotel is set a 7 minutes' drive from Dingle. The beach is located 4 minutes from the property and guests can enjoy the traditional Irish country pub with live music. Free private parking is available on site. All rooms come with a flat-screen TV, tea/coffee making facilities and a private bathroom. Extras include free toiletries and a hairdryer. 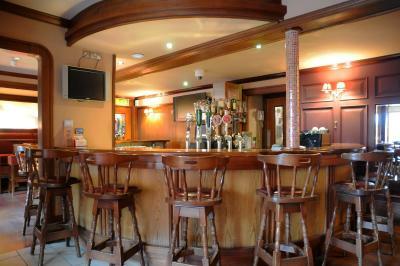 Dingle Peninsula Hotel features free WiFi throughout. Home style fresh food made from local produce and continental tapas is available seven days a week. The alfresco restaurant has a wood-fire pizza oven and guests can enjoy barista coffee. A complimentary shuttle service to and from local destinations is offered to all guests. Guests can enjoy various activities in the area including golf, cycling, swimming, fishing as well as horse riding on the beach and swimming with the local dolphin. Guided history walks and a kids club is also available. The nearest airport is Kerry Airport, 34.8 miles from Dingle Peninsula Hotel. Overlooking tranquil Dingle Bay and just 2 minutes' walk from Dingle Town, Boland's BnB offers hearty full Irish breakfasts and free Wi-Fi. Guests can dine in the bright conservatory, and enjoy rooms with en suite bathrooms. Bright and cosily furnished, rooms at Bolands each include a hairdryer and shower, while guests can relax in the room with a TV and free tea and coffee facilities. 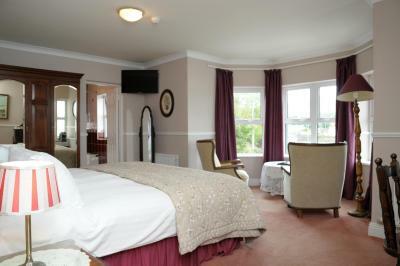 Some rooms also boast beautiful views of Dingle Bay. The small town of Dingle has over 50 pubs to enjoy, and the harbour, offering ferries and boat trips, is 10 minutes' walk away. Oceanworld Aquarium is a 15-minute walk away, and Dunbeg Fort is less than 10 minutes' drive away. Ashe's BnB is located in the center of Dingle, on Ireland?s southwest coast. 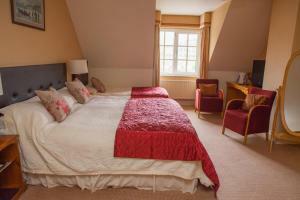 Surrounded by beautiful countryside, Ashes offers spacious bedrooms with free Wi-Fi and homemade organic breakfasts. Rooms at Ashe's are decorated in light shades and feature TVs and tea/coffee-making facilities. They include bathrooms with power showers and hairdryers. 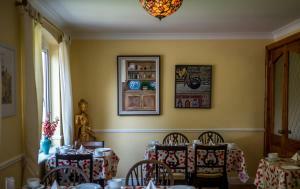 The charming breakfast room serves traditional Irish and vegetarian breakfasts each morning. There is grounds with a sitting area for guests to relax in, and free parking is available at the guesthouse. From Dingle Pier guests can take a boat trip to see Dingle's bottlenose dolphin. The waters around the Dingle Peninsula offer fantastic diving, while there are plenty of cycling routes in the area. 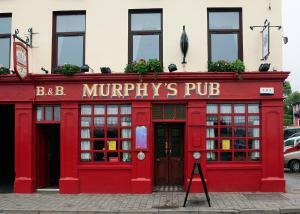 A 1-minute walk from Dingle Harbour, Murphy's Pub and BnB is a traditional Irish pub with Guinness, homemade food and live music. 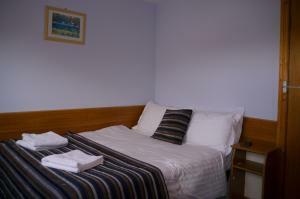 It offers en suite rooms with free parking and WiFi, and full Irish breakfasts. 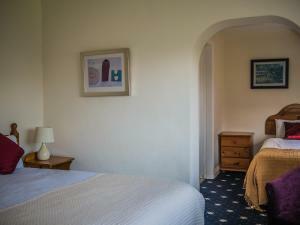 Each room has a TV, wardrobe and tea and coffee facilities. There is an en suite shower in all rooms. Murphy's Pub and BnB serves a full Irish breakfast as well as other cooked dishes including Dingle Bay salmon with scrambled eggs. There is also a range of cereals, ham and cheese platters and homemade fruit scones. 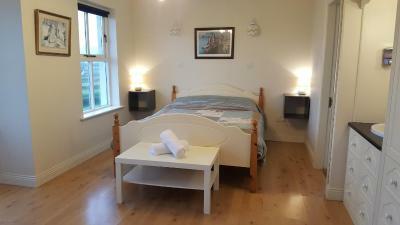 This bed and breakfast is a 5-minute walk from Dingle's Oceanworld Aquarium and Phoenix Cinema. The area offers activities including walking, water-sports and fishing, as well as boat trips to see the Dingle dolphin, Fungie. In a quiet, beautiful location, on Slea Head Drive, overlooking Dingle Bay and Mount Brandon, this small, charming bed and breakfast is located at the start of the Dingle Way walking trail. Peaceful and tranquil, Brownes Bed and Breakfast has spacious en suite rooms, free Wi-Fi and free private parking on site. Guests can enjoy tea and coffee on arrival and breakfast each morning. The extensive breakfast menu features home-baked items and includes everything from a full cooked Irish breakfast to locally sourced smoked salmon. Dingle Tourist Office and the craft shops and restaurants of Dingle's town centre are just 1 km away. Dunquin is only 15 km away and from there you can easily reach the Blasket Islands. Ceann Sibéal Hotel is in the centre of Ballyferriter on the Dingle Peninsula, halfway along Slea Head Drive with its breathtaking views, including views of Ceann Sibeal headland, site for the shooting of Star Wars: The Last Jedi. Enjoy beautifully decorated, spacious rooms and traditional cuisine made from local ingredients. The hotel is nestled amidst idyllic scenery and is walking distance from the beaches of Smerwick Harbour. It is ideal for walkers and hikers on the Dingle Way walking trail. In the area you can enjoy heritage sites, golf, boat trips, outdoor activities, trips to Great Blasket Island from Dunquin, and live music in the evenings.